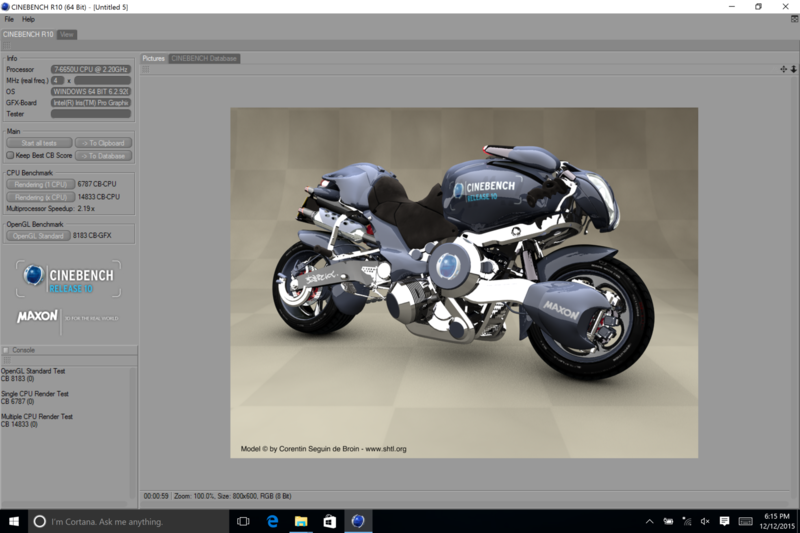 Same face, faster hardware. 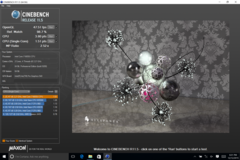 Is the highest-end Surface Pro 4 really worth the investment? 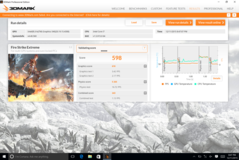 We give you the raw benchmarks for you to decide on your own. With three Surface Pro 4 SKUs under our belt, we can finally give a comparison between the lowest-end and fanless Core m3 model and the mid-tier and highest-end Core i5 and i7 models, respectively. 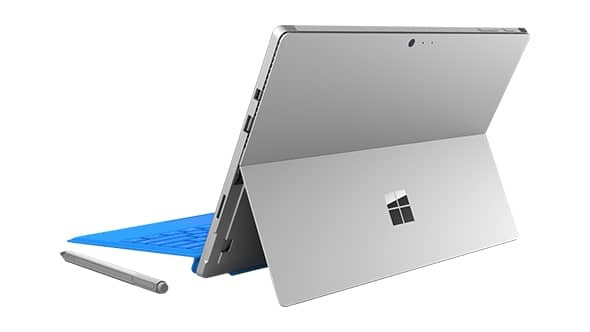 We suggest checking out our dedicated review pages on the Surface Pro 4 m3 and Core i5 for more details on design quality and the Type Cover detachable keyboard. 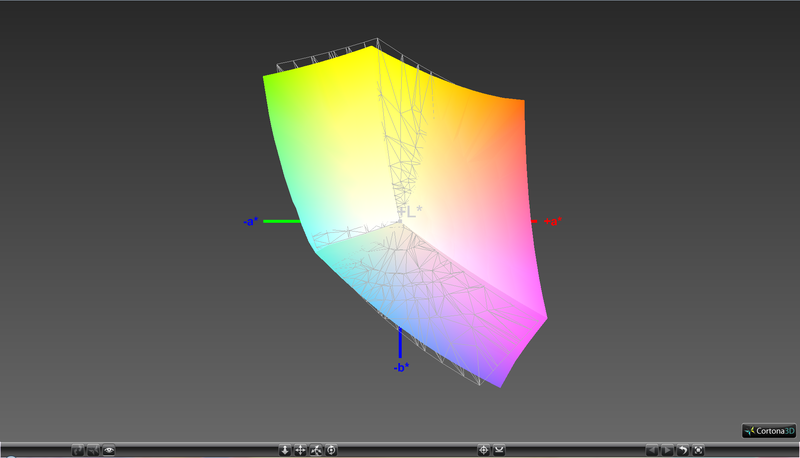 Display measurements are largely the same as our Core m3 and Core i5 model, albeit with a few noteworthy differences. 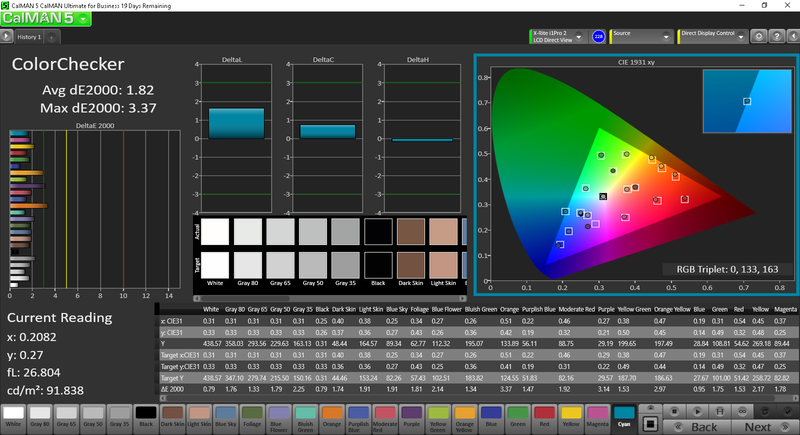 Perhaps most significantly, the backlight is actually slightly brighter than our Core m3 configuration while providing about the same contrast levels. Minor but noticeable backlight bleeding is still present around the top and bottom edges of the tablet especially if the task bar is set to a dark color. 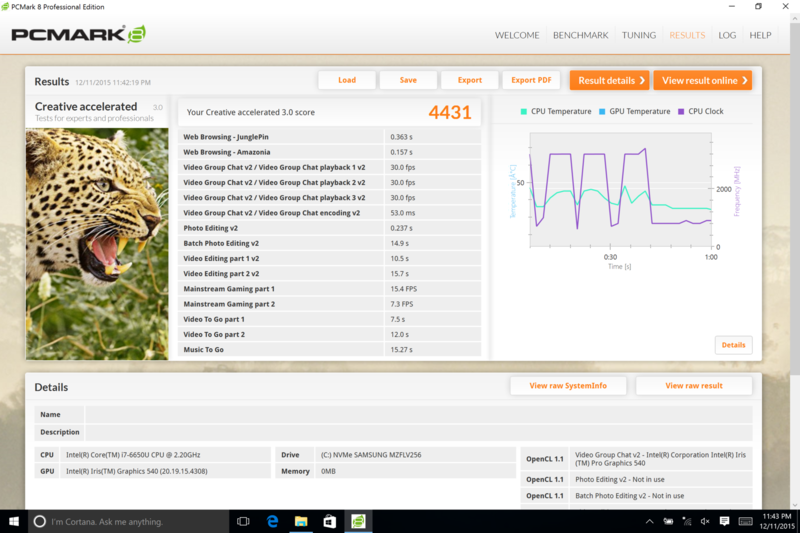 The Samsung 123YL01-001 panel is identical to the one on the m3 and Core i5 SKUs. 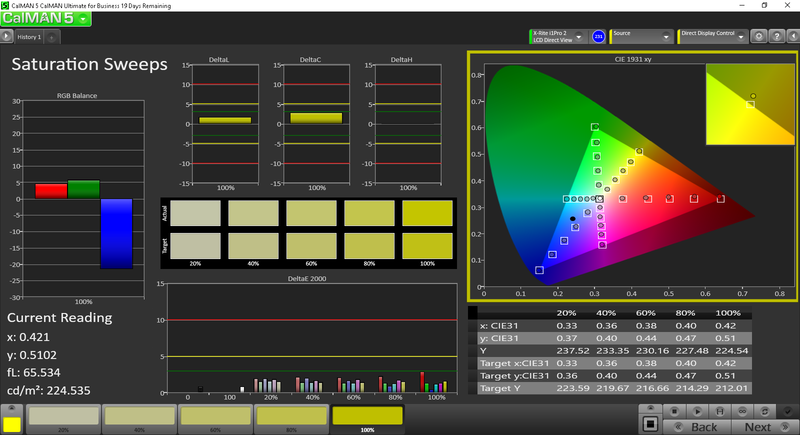 Thus, color coverage is about the same across the three models at 97 percent and 62 percent of the sRGB and AdobeRGB standards, respectively. The data starts to get interesting when diving deeper into the color reproduction of the Core i7 model. 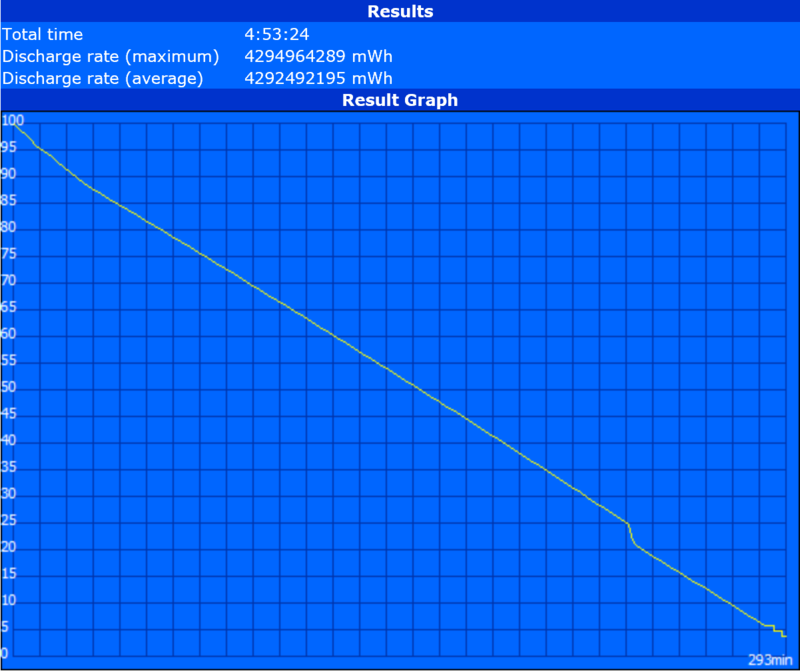 Here, the display appears to be well-calibrated before it reaches the end-user unlike on the Core m3 or Core i5 models. 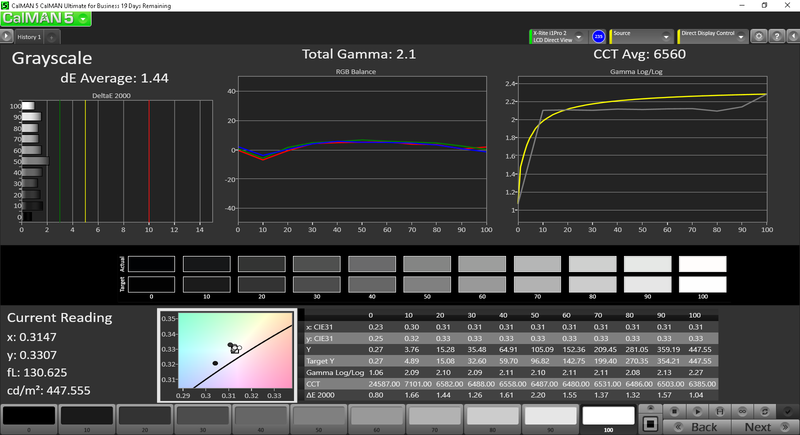 Grayscale and colors are some of the most accurate we've seen on a Windows tablet. 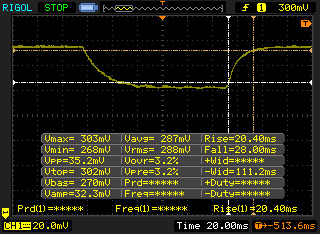 Additional calibration will increase accuracy even further, though not by much. 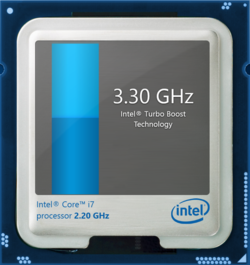 The Core i7-6650U is one of the fastest dual-core ULV Skylake processors available. Its base clock rate of 2.2 GHz is 1.3 GHz faster than the Core m3-6Y30 and 200 MHz slower than the Core i5-6300U. 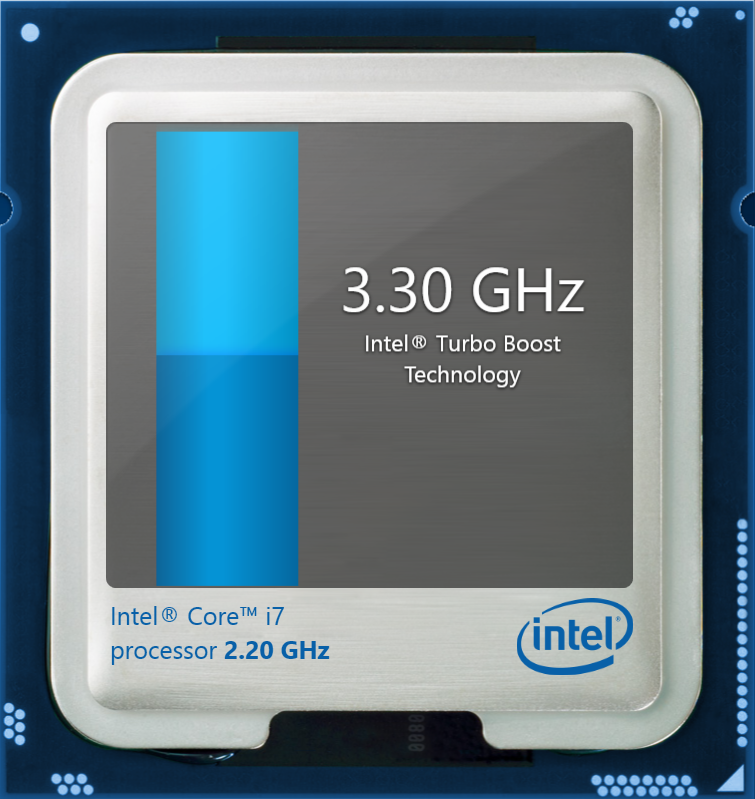 In turn, it carries the faster Turbo Boost potential of up to 3.2 to 3.4 GHz depending on the system load. The i7 model also integrates the faster Iris Graphics 540 compared to the HD 520 and HD 515 in the Core i5 and m3, respectively. 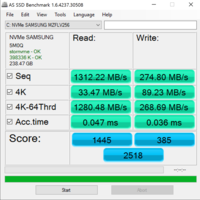 As usual, we recommend checking out our dedicated CPU pages on the i7-6650U, i5-6300U, and m3-6Y30 for more technical information and comparisons. According to CineBench, users can expect about a 10 percent raw performance boost over the Core i5 model and a 30 to 40 percent boost over the Core m3 model. 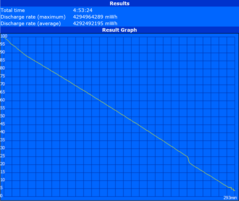 While the advantages in computational power are small over the Core i5, graphics performance is significantly better than the HD Graphics 520 on the Core i5 by about 40 percent. 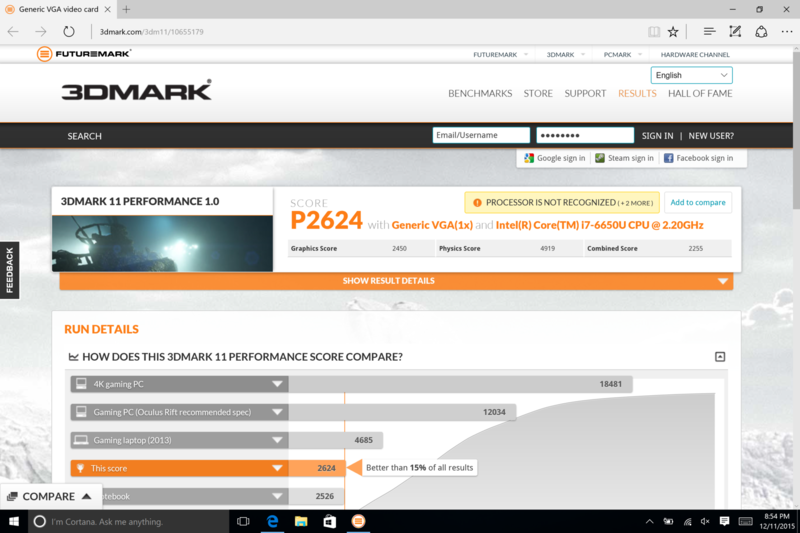 Likewise, raw system performance according to PCMark 7 is about 10 percent ahead of the Core i5 model and about 25 percent ahead of the Core m3 model. 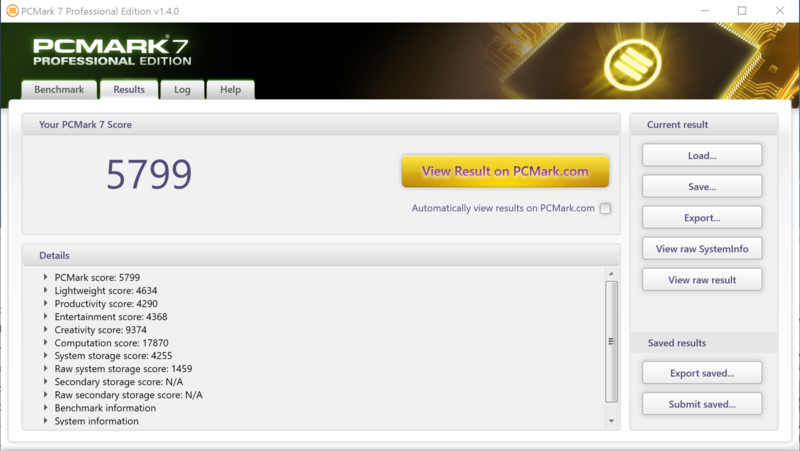 The differences are slightly larger in PCMark 8. 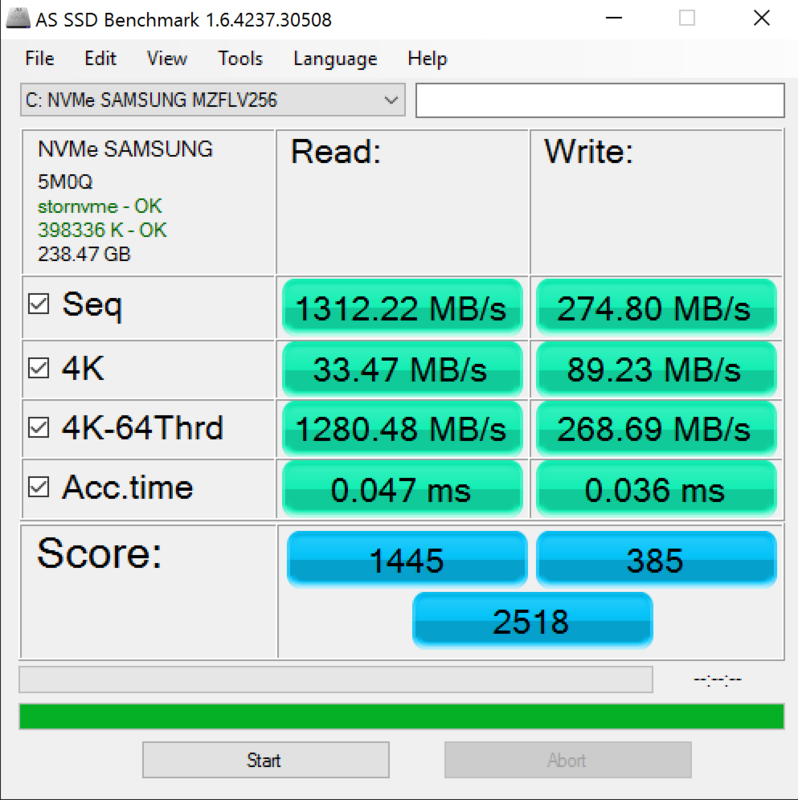 The 256 GB Samsung MZFLV256 M.2 drive in our Core i7 configuration outperforms our 128 GB SSDs in Core i5 and m3 models by noticeable margins across the board. 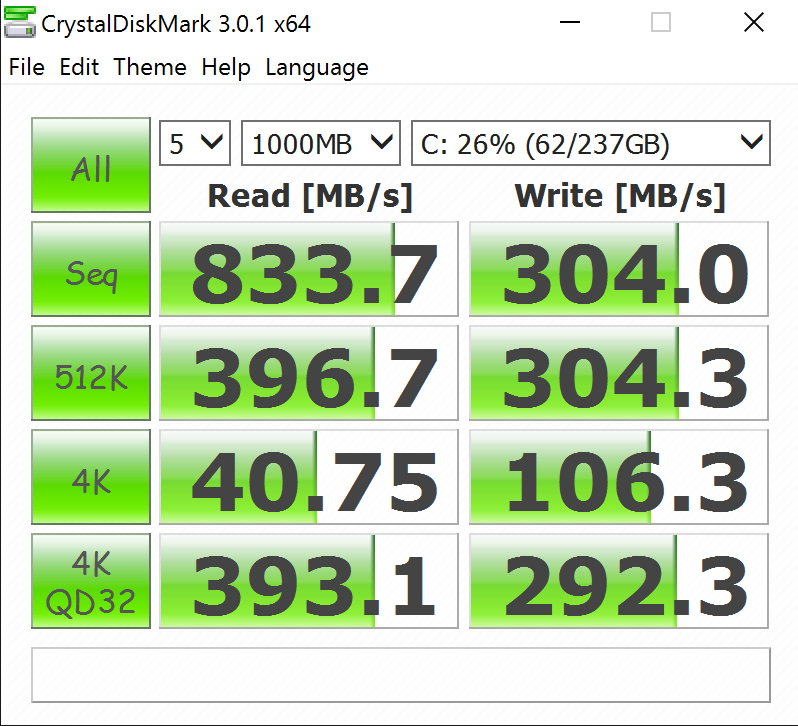 Sequential write speeds in particular are almost twice as fast according to both AS SSD and CDM. The jump from the Core i5 model to the Core i7 model will bring more GPU power than actual CPU power. 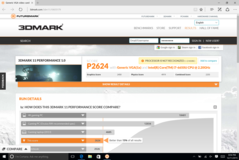 Synthetic benchmarks like 3DMark show the Iris 540 to be about 40 percent ahead of the HD 520 in the Core i5 configuration and almost 50 percent ahead of the HD 515 in the Core m3 configuration. 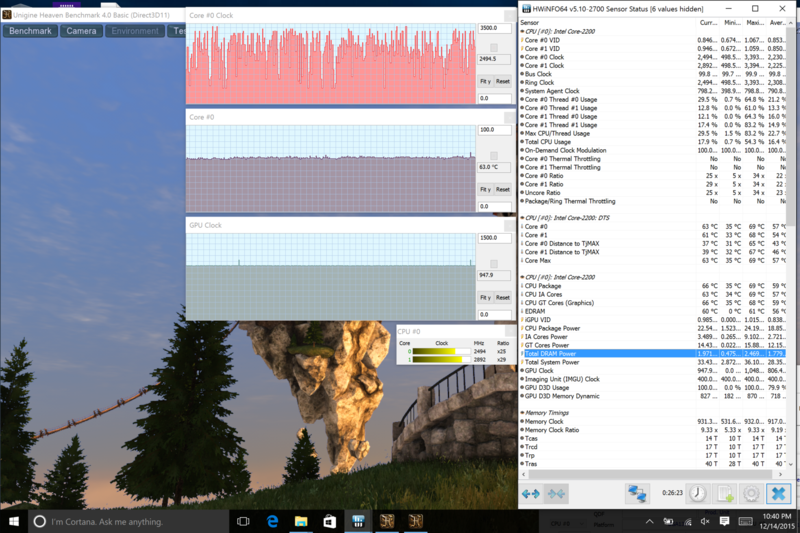 Bioshock Infinite shows the Surface Pro 4 Core i7 configuration pumping out 60 to 80 percent higher frame rates than the Core i5 configuration. 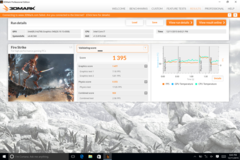 Overall gaming performance lies comfortably in between the custom Nvidia GPU in the Surface Book and the HD Graphics 520 in the Surface Pro 4 Core i5. 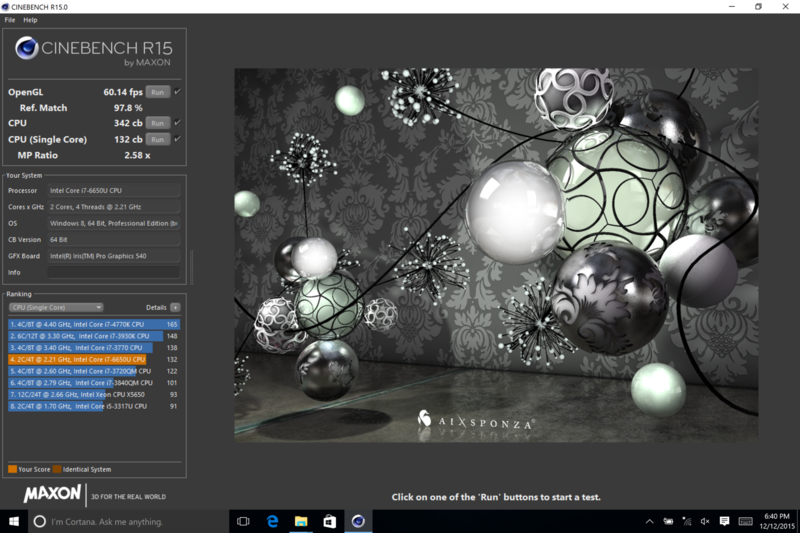 Users shouldn't be dissuaded by the Surface Pro 4 just because it's one of the few tablets with an actively cooled processor. Like the Core i5 version, this Core i7 version is almost always silent since it takes a consistently heavy load to even begin agitating the fan.  The tablet can thus last for quite some time under medium to heavy loads like gaming before fan noise starts to kick in. 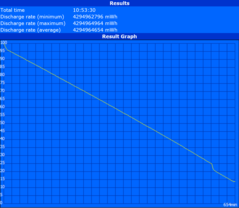 The Core i7 fan is otherwise very similar to the Core i5 fan in maximum noise and behavior. 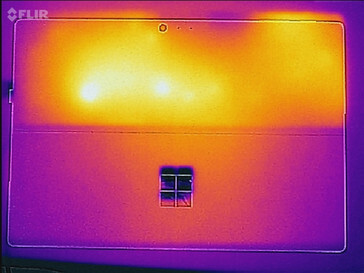 Surface temperatures are flat on both sides when the system is idling on desktop with no obvious hot spots. 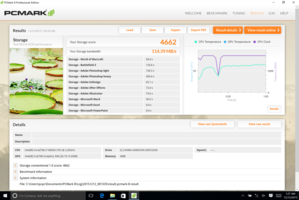 Maximum load with both Prime95 and FurMark will increase temperatures significantly, especially on the top half of the tablet where the PCB lies. 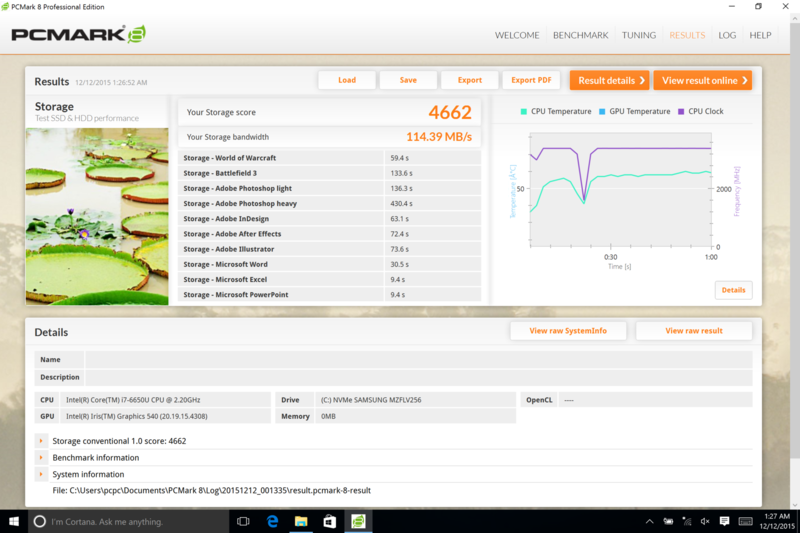 Our average readings are higher than our Core m3 model despite the Core i7 model having a dedicated system fan. 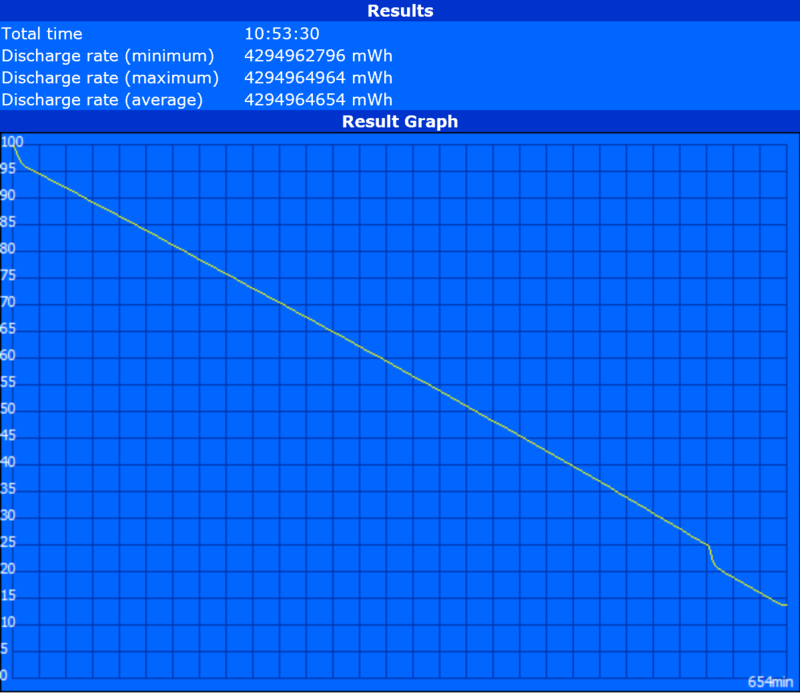 Nonetheless, our readings are strangely much lower than our Core i5 model. The Surface Pro devices remain one of the warmest tablets available. 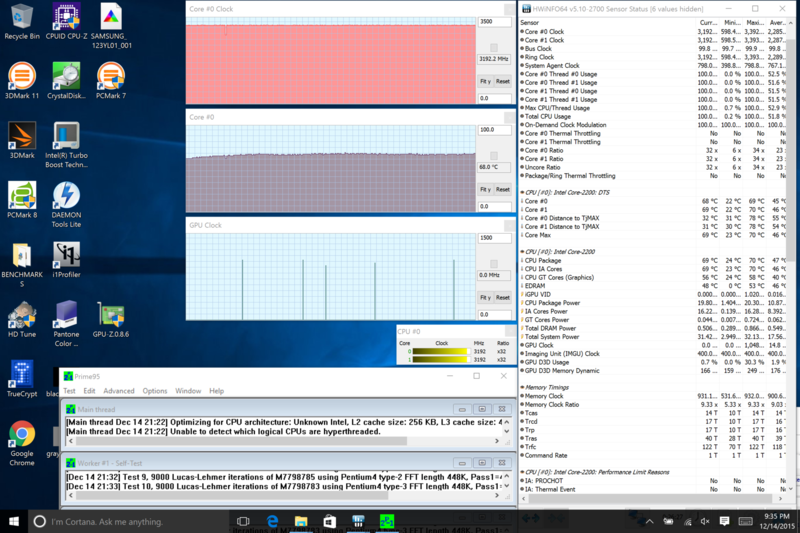 We had our doubts on the performance of the Surface Pro 4 Core i7 configuration considering the throttling issues found on the Surface Pro 3. 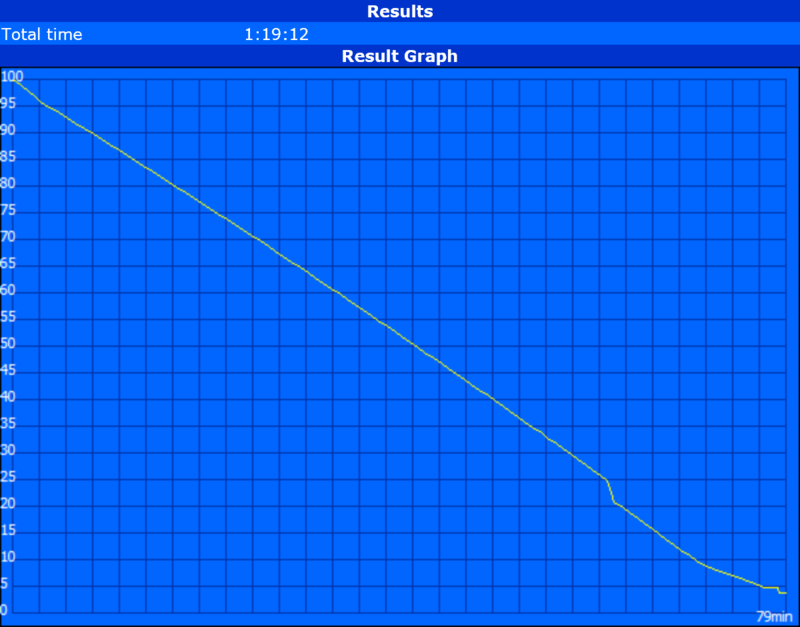 Luckily, we can observe no major performance issues when under high loads. 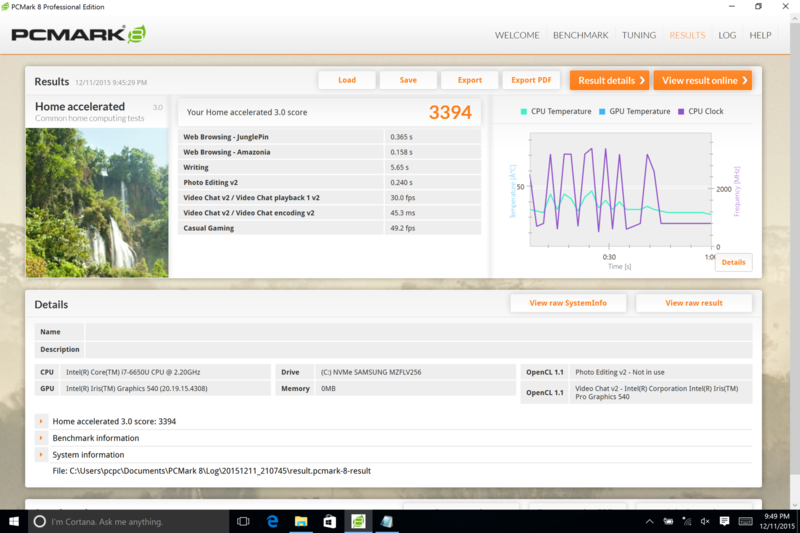 The tablet is able to maintain its maximum Turbo Boost of 3.2 GHz for both cores when under Prime95 stress and Unigine Heaven stress. 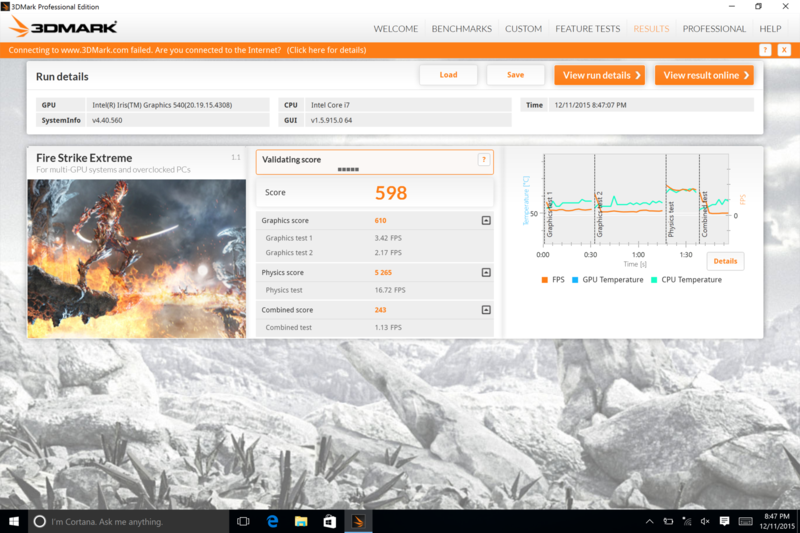 The integrated GPU operates at a very steady 950 MHz under similar conditions. 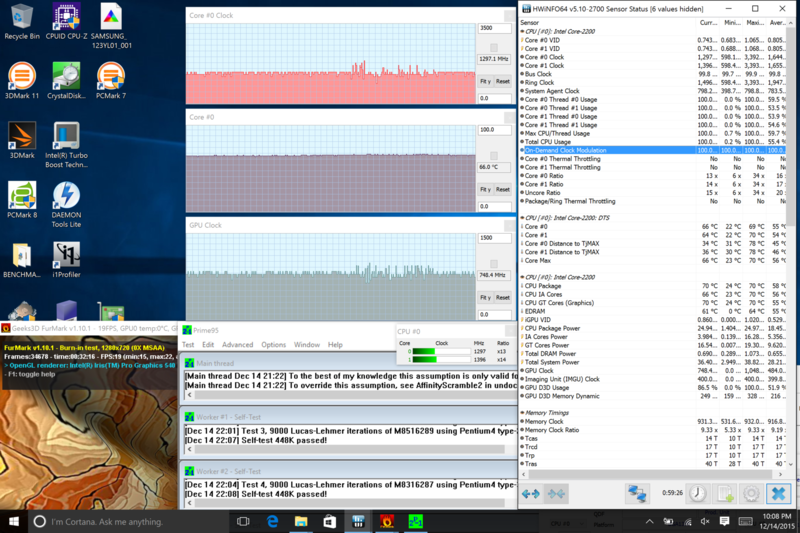 Throttling will occur when running both Prime95 and FurMark simultaneously. Note that the AC adapter is unable to provide enough power to the tablet to maintain such high processing loads. Thus, the tablet will surely but slowly drain battery power even when connected to mains. Running on battery power only will cause a very slight dip to CPU and GPU performance. 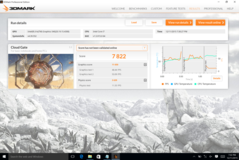 A 3DMark 11 run on batteries returns CPU and GPU scores of 2370 and 4761 points, respectively, compared to 2450 and 4919 points when on mains. 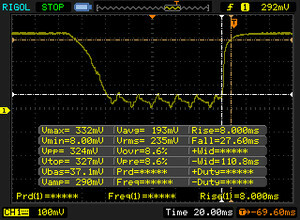 An impact on battery life is expected when moving to more powerful internals without increasing battery capacity. We measured a WLAN runtime of just under five hours compared to seven hours on the Core i5 or eight hours on the Core m3. This is indeed one of the shortest-lasting Surface Pro tablets we've tested. Note that our WLAN conditions are always set to 150 nit brightness on the Balanced Profile and with no screen timeout while looping our standard browser script. November 20, 2016 Update: We have since rerun our WLAN tests on the Core i5 SKU to show longer runtimes than what has been recorded in our table below. 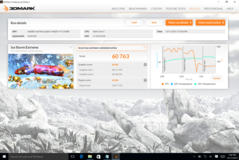 See our dedicated review page on the tablet for updated battery life results. 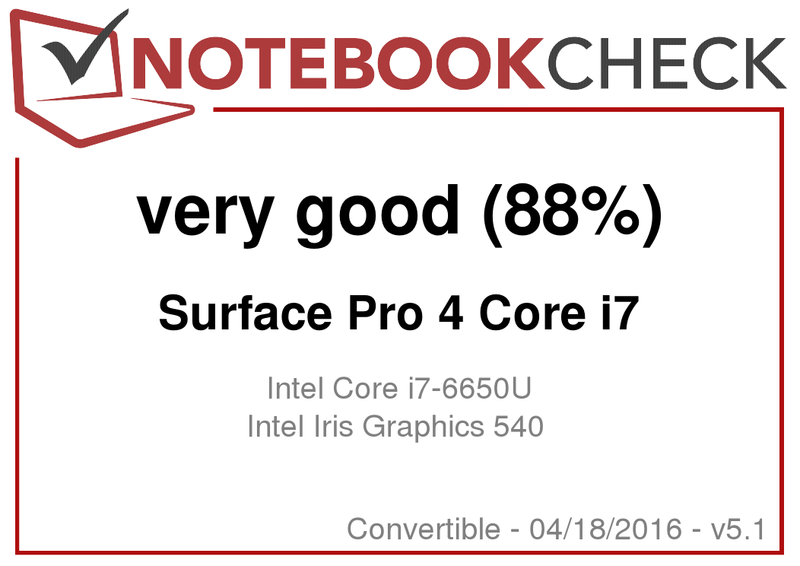 In review: Microsoft Surface Pro 4 Core i7. 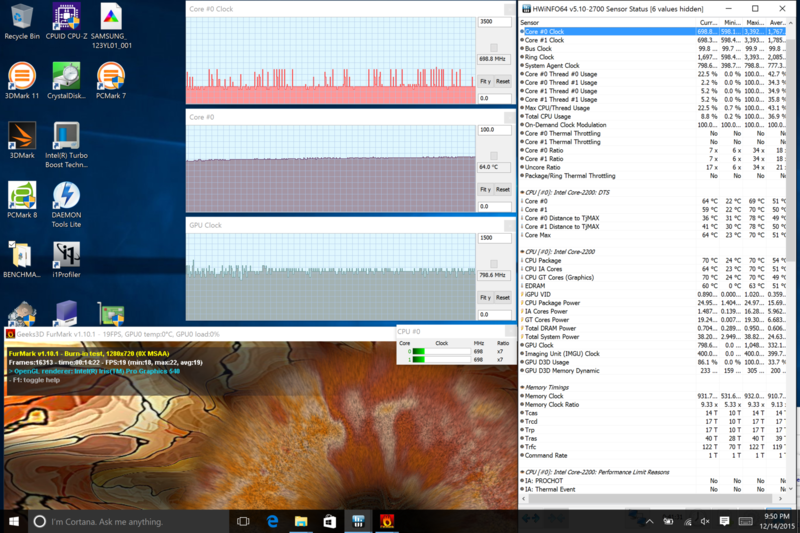 The Surface Pro 4 Core i7 SKU provides only marginally faster CPU performance over its Core i5 counterpart. 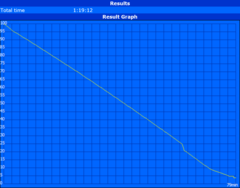 For word processing and browsing, the performance difference will be negligible to most users. 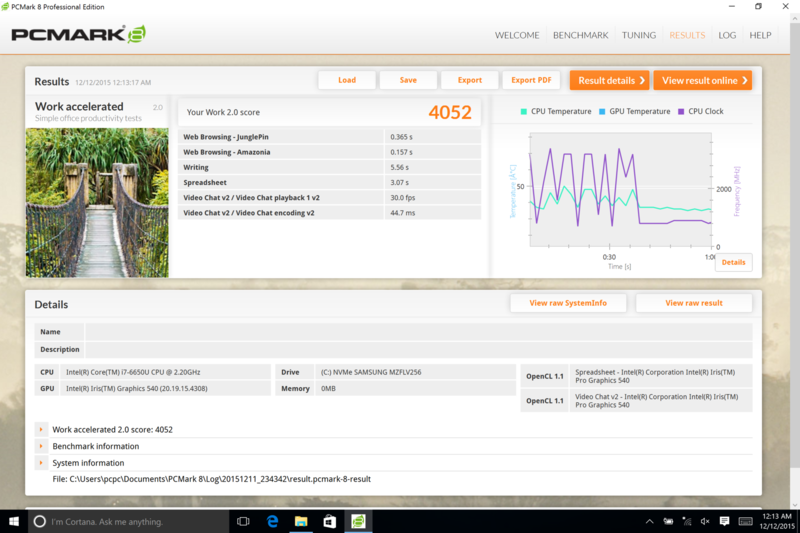 Instead, the Core i7 configuration should appeal mainly to power users who can make use of the extra GPU power provided by the Iris 540 over the HD 520. 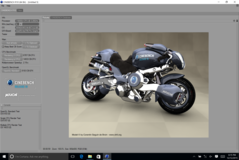 Its raw graphics performance is not enough to run modern games smoothly at the native resolution, but the additional overhead will certainly come in handy for light to moderate Photoshop work or video editing. 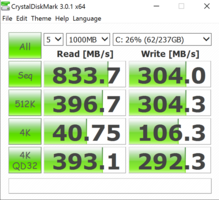 The pre-calibrated screen and faster SSD performance from the 256 GB drive compared to the Core i5 or Core m3 SKUs make the Core i7 model more professional than just a simple CPU upgrade. The more accurate display, faster SSD performance, and lack of serious throttling issues over the less expensive configurations will appeal to power users, but are otherwise insignificant advantages for light office and PowerPoint users.